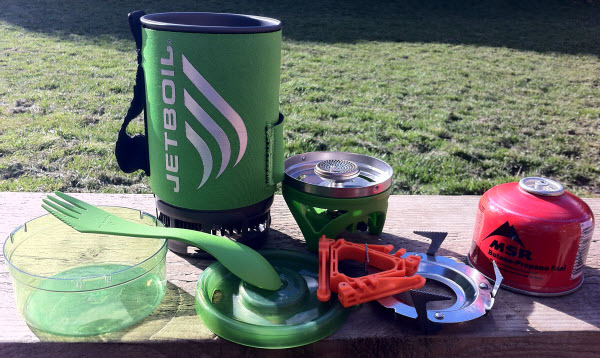 I have used my JetBoil Flash on a few camping trips now over the past year or so and while I might not consume as many hot drinks as others I camp with, I enjoy the fact that within 3 minutes of setting my JetBoil stove I can enjoy a coffee, tea, cup of soup or have the water needed for a dehydrated meal. The fuel can be found at all good outdoor suppliers so there is no need to hunt around for it and if you purchase the Crunchit tool these can easily be recycled, there are also a number of accessories that you can purchase such as the Hanging Kit if you fancy a brew when climbing or the Coffee Press if you cannot live without a fresh cup in the morning. Having read other reviews that have found the flame goes out easily and they have trouble with the ignition I can say that I did not find this to be an issue, in fact the only issue I have is that I find the lid on mine comes off easily when the stove is packed away inside the cup. 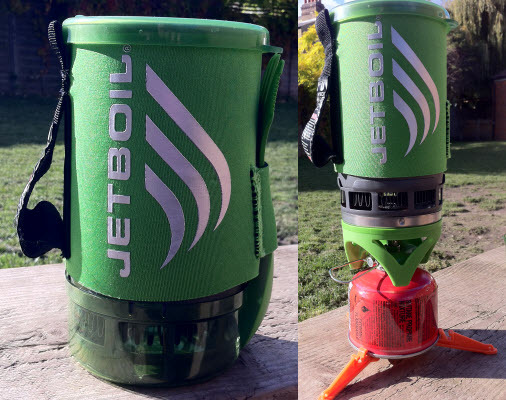 If you are looking for a small stove without going ultra lightweight for 1-2 person trips then a JetBoil would be ideal, 8 out of 10. This entry was posted in Fire and Cooking, Products, Scouts. Bookmark the permalink.